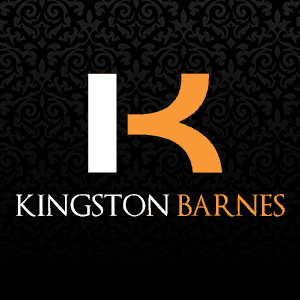 Growing at an exponential rate, Kingston Barnes needed a larger Office space quickly! They found a great spot at 40 Queen Square in central Bristol which they moved fast on to secure. The day Kingston Barnes got the key our team started works. Creation of 3no. Meeting Rooms for team and client meetings. Installation of Kitchen and Breakout Area. Electrical and Data floor box installation. Painting and decorating throughout to match colour scheme. Space Planning allowing for further growth. 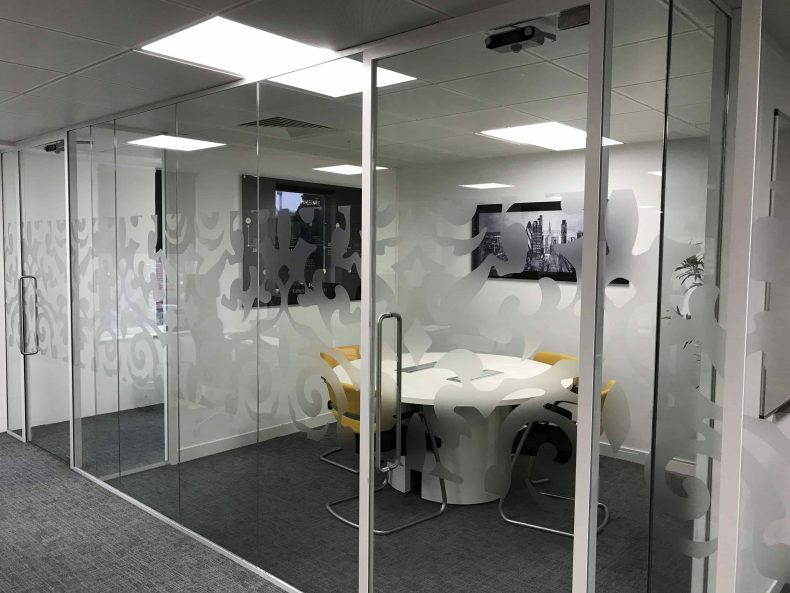 Installation of both Plasterboard Partitioning and Glass Partitioning to create meeting rooms and Breakout Area. Cutting out of slab floor to install Electrical and Data Floorboxs. Retention of existing flooring and ceiling (recently refurbished). Out of hours works to ensure minimal disturbance to other tenants within the building. A layout for the open Office allowed for further growth. After 3 weeks onsite the project was complete, fulfilling Kingston Barnes move date successfully. 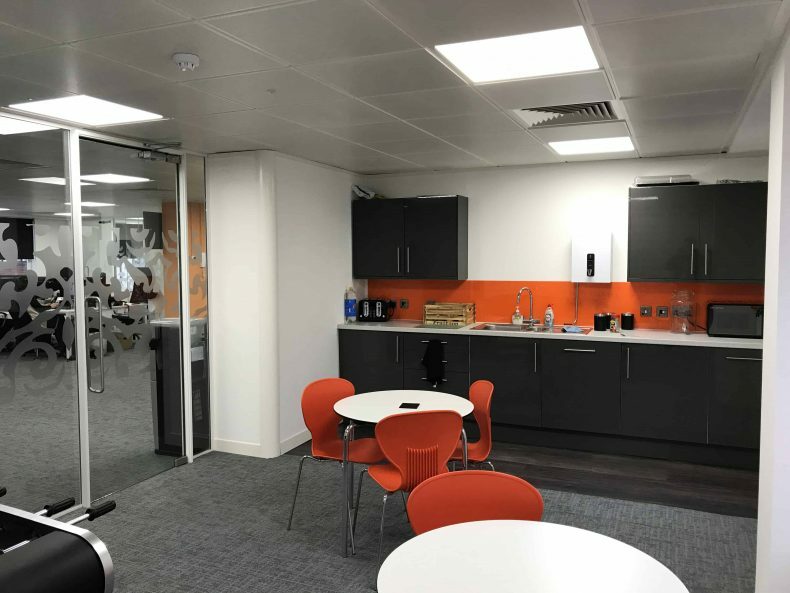 The blank canvas had been transformed to incorporate 3 meeting rooms, a kitchen/breakout area, and a new open Office layout . The project had its challenges with more out of hours works taking place than expected but James Kingston of Kingston Barnes was a pleasure to work with and the end result was exactly what he was looking for. 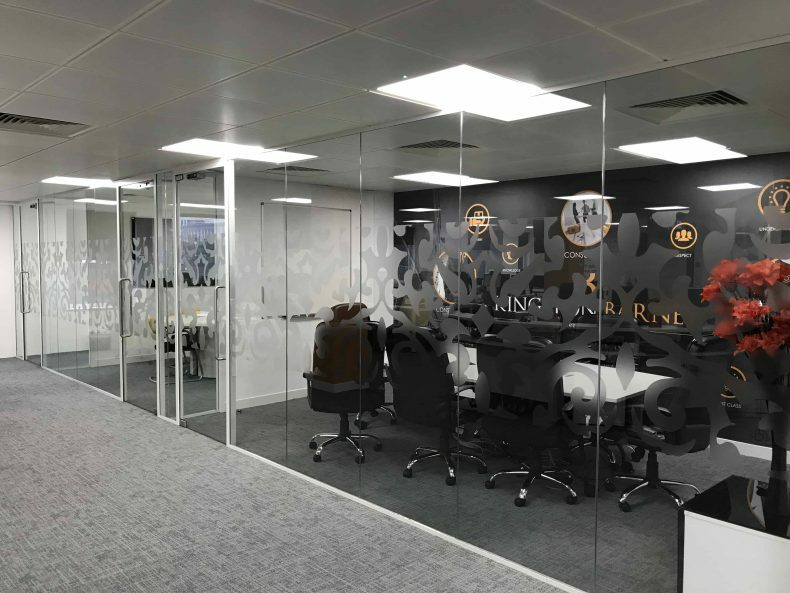 Avent Interiors have since returned to carry out another installation of Glass Partitioning for Kingston Barnes. 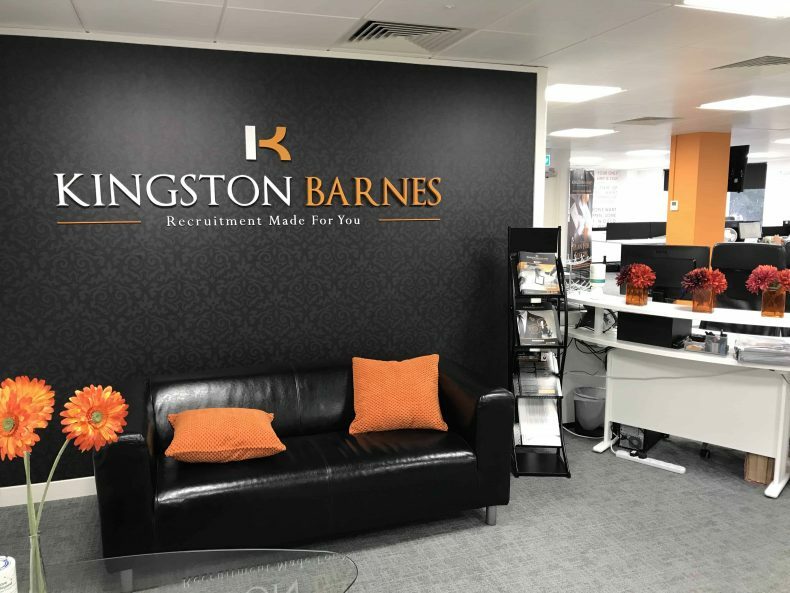 Kingston Barnes is a ‘recruitment consultancy specialising in the construction, consulting and technical engineering industries.’ Going from strength to strength in the last few years they are quickly becoming one of the main players in Bristol. Why not find out more about our Office Fit Out services, give us a call on 0117 9960 950.